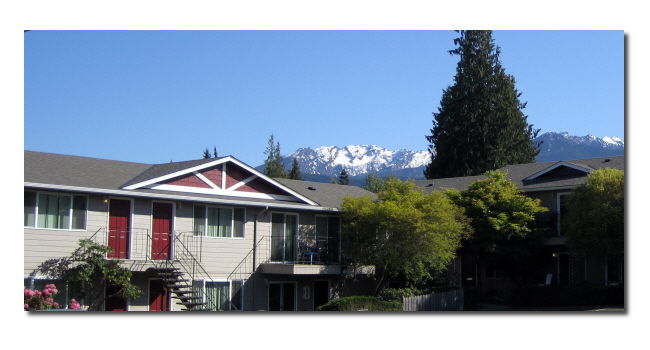 Welcome to Olympic Square Apartments in Port Angeles, Washington on the beautiful Olympic Peninsula! We offer spacious and attractive one-bedroom and two-bedroom unfurnished apartments for rent with laundry facilities and parking on the premises. Many desirable amenities are included. We are more than just an apartment complex, we're a place you're glad to call home! Our lovely setting has views of both the mountains and the water. Our units provide comfort, convenience, and value. We are located near area schools, shopping, and public transportation. For our Coast Guard residents, Air Station/Sector Field Office (SFO) Port Angeles is only 10 minutes away. Responsive management and superior maintenance assure that your appliances and other features remain in fine operating order. 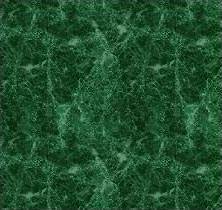 All of your service issues and needs are dealt with in a timely and courteous manner. Our on-site Property Manager guarantees exceptional responsiveness for our residents. 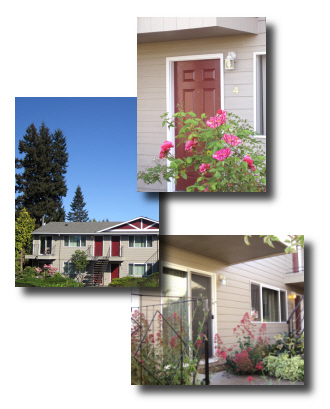 We think you'll agree that our apartments are maintained beautifully, both inside and out. Because Olympic Square Apartments is a desired choice, we recommend contacting us early to inquire about availability.